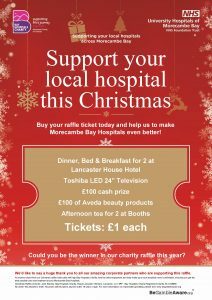 Our Christmas raffle is a fun and easy way to help Bay Hospitals Charity fund the latest equipment and make our local hospitals more comfortable, ensuring patients get the best possible care and treatment across Morecambe Bay Hospitals. Plus many more great prizes. We’re calling on local people and businesses to help sell raffle tickets, this year and help us make Christmas special. 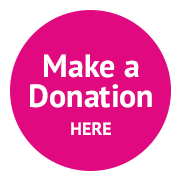 If you could sell raffle tickets for us, please contact us on: charity@mbht.nhs.uk or phone: 01524 516064.